Have you have ever heard the phrase “heart age”? 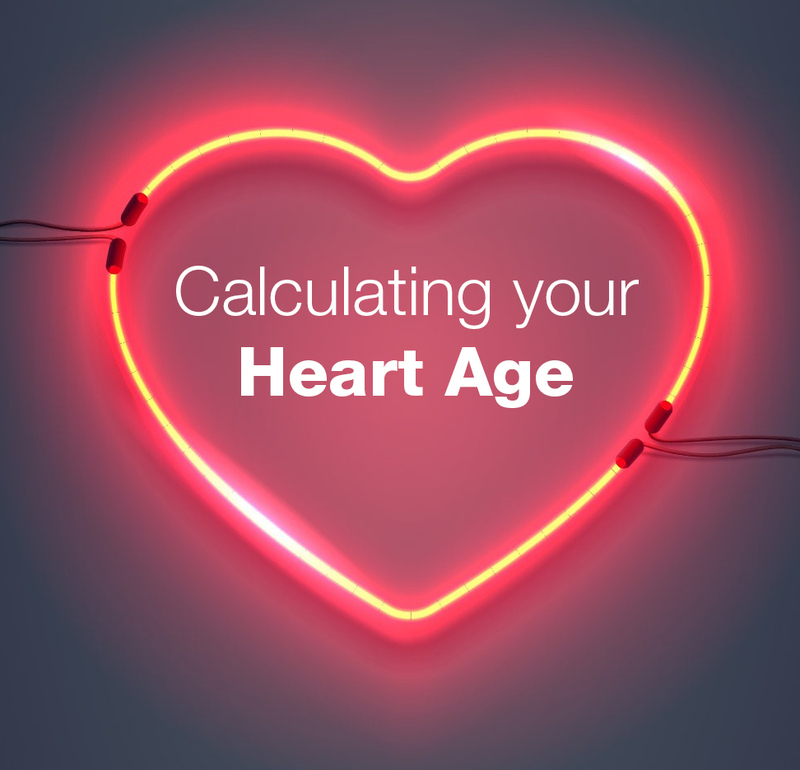 Heart age is a way to calculate and figure out your risk of a heart attack or stroke. A younger heart age means a lower risk of heart disease. Believe it or not, your heart is most likely older than you. Simple calculations such as age, family history, diet, physical activity and smoking determine how much of a risk you are at. If you are a smoker and you do not exercise at all, your heart will be much older. This means that you are more at risk to die of a heart attack or stroke. To lower this risk, some steps you can take are: getting help to quit smoking or signing up for classes at your local gym. Taking these actions can make your heart feel younger again and make you less susceptible to heart disease. Though there are factors you can control to lower your risk of a heart attack or stroke, there are some things you cannot control. Such factors include your age and family history. While there is no fountain of youth and you cannot choose the family you are born from, you can work on the factors of the heart age calculation that you can control. Controlling your diet is another way you can impact your heart age. Diet is one of the most important factors of heart age and overall health. By eating right, managing your weight and controlling your sugar intake your can improve your heart age. Such things as high blood pressure can be lowered with a healthy diet of fruits and vegetables. For more information on heart age, click here. 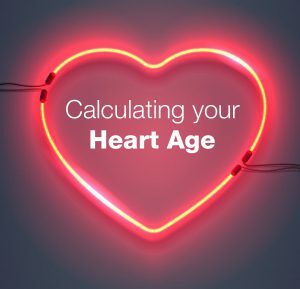 To calculate your heart age, click here.